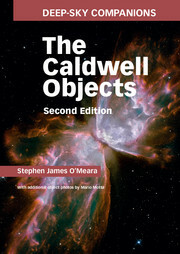 With over 150,000 copies sold since its first publication, this is one of the most popular astronomy books of all time. 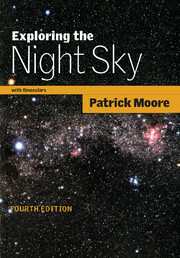 This unique guidebook to the night sky shows you how to observe a host of celestial wonders. 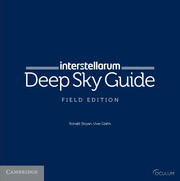 Its distinct format of object-by-object spreads illustrates how deep-sky objects and planets actually look through a small telescope, while its large pages and spiral binding allow for use outside. 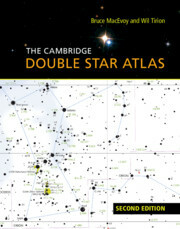 Along with updated star names and astronomical information, this new edition provides links to a dedicated webpage with up-to-date tables and images, and an improved planets chapter. 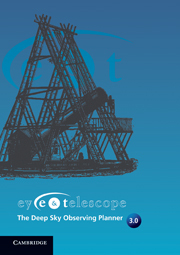 The many Dobsonian-friendly images and small telescope views have been revised to account for changes in modern telescope technology, such as larger field of view eyepieces. 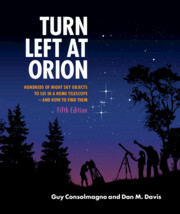 With dedicated chapters on Northern and Southern Hemisphere objects, it's never been easier to explore the night sky, wherever you are. 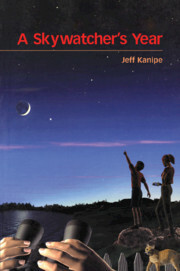 Additional resources are available on the accompanying website: www.cambridge.org/turnleft. 14. Where do you go from here?